What does it take to break a Guinness World Record? First, a big idea. Second, perseverance. Just ask Eric Smith. The 52-year-old Cuttingsville resident aims to break the world record for longest contra-dance line — one currently held by 2,208 people in Riga, Latvia. Smith and fellow contra enthusiasts are beating the bushes to attract at least 2,209 dancers to the College of St. Joseph in Rutland on Saturday, June 7. "I've had a Facebook page [for the event] since last August," Smith says. "It's been word of mouth to various contra-dance groups, and I contacted central Vermont newspapers." He's also hoping for radio interviews, but admits no station has expressed interest — yet. "I've been trying to get someone to broadcast live," he adds. "I've found a fellow with an FM transmitter." Recording the event — which will feature live music by Giant Robot Dance and Perpetual Motion, and well-known callers Will Mentor and Adina Gordon — is but one of the ways in which a Guinness-record-breaking attempt must be documented. "To verify, you need a videotape of the entire compound," Smith says, "and everyone gets a wrist band with a bar code." Additionally, the group must include one "steward" for every 50 people, and Smith must provide aerial photographs of the crowd. "You can pay Guinness $7,000 to come and verify, or you can do all these other things, including have two prominent local citizens [on site to validate]," Smith says. "There's no cost to apply, but there are obviously costs to make it happen." Another cost: providing every dancer with a T-shirt to help stewards keep track of them. Contra, from a French word meaning opposed, typically is danced in two long lines, with partners facing each other and moving according to a sequence of beats, Smith explains. Guinness, which requires only a five-minute dance, does not demand that the lines be straight. And that's a good thing, as the Rutland lines will likely snake around the grounds of St. Joseph. Mentor plans a "very easy dance," Smith promises, so even contra newbies can join in. Smith believes that the two bands — both popular in the contra scene — will help attract participants. So, too, perhaps, will the giant dance party in the college gym following the Guinness attempt, along with what Smith calls "a massive potluck." According to the event's Facebook page, local motels are offering deals to visiting dancers. 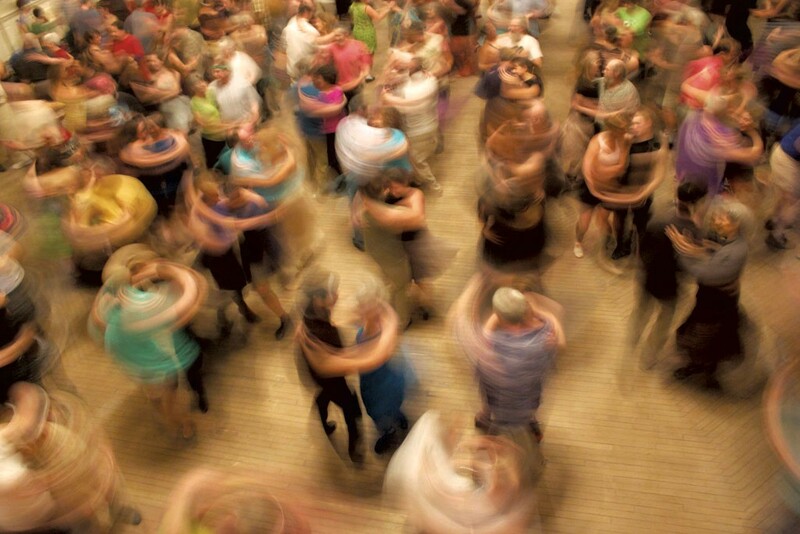 Guinness World Record Contra Dance Attempt, Saturday, June 7, 3 p.m. at the College of St. Joseph in Rutland. Potluck and contra dance party follow. For more info, contact Eric Smith at ickock@yahoo.com or see Facebook page (Attempting The World's Longest Contra Dance Line). The original print version of this article was headlined "Dance Dance the Record"